Zu Audio, a small company based in Ogden, Utah, represents to me the absolute modern American success story. 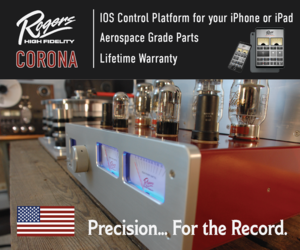 I love everything about it: the quest for audio perfection, the pursuit of a dream of doing something differently, and that their products are produced by caring artisans right here in the good old USA. Indeed, Zu is evidence that those with a unique idea and enough gumption can still succeed and realize their dreams right here and right now. I hadn’t paid much attention to Zu until about 10 years ago or so. While initiating what was probably my own second or third vinyl renaissance, I realized that my ancient Michell Gyrodec turntable needed a new cartridge installed on its crazy-heavy Fidelity Research tonearm. My digging around on the internet led me to an interesting cartridge that promised to work wonders with that tricky arm: Zu Audio’s modded Denon DL-103. I immediately ordered one, got a friend to help me mount it, and found it to be a total dud. As in no sound came out. I called Zu, and they told me to return it. I was immediately sent a replacement, no questions asked, which I still have to this day. Based on that experience, I found that Zu offers quality products and excellent customer service, so I figured I’d be dealing with them again at some point in my future audio journey. Well, that time has finally arrived. On the heels of a review I did around a year or so ago of a big Pass Laboratories amplifier, I got interested in exploring the world of Nelson Pass’ lower-powered (and generally more affordable) First Watt amplifier offerings. 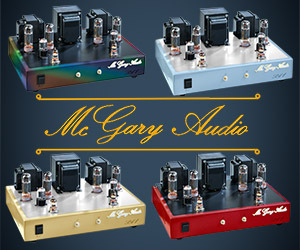 Scot had a few of these amps in-house and ready for review, so I took the bait. The little guys were able to work some audio magic in my system, but none of the speakers I had on hand seemed efficient enough to allow the First Watts to really strut their stuff. After some discussion, Scot and I both concluded that a pair of really efficient speakers was needed to continue the review, so … Enter Zu Audio! We touched base with Zu’s head honcho, Sean Casey, and a few months later, a beautiful pair of Ferrari-red Zu Druid Mk. V speakers showed up at my doorstep. 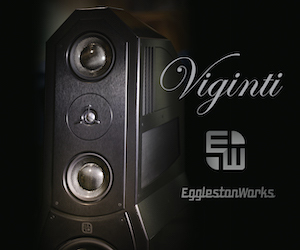 Prices for this speaker start at $5400 per pair, and move upwards from there depending on how custom you want to go on the finish. I seem to remember that the original Druid was Zu’s first speaker design. I also recall early advertisements showing a drawing of some dude tossing a Druid (the speaker, as opposed to a person…) over his shoulder and thus transporting it. Don’t believe everything you see. I always assumed, based on this clever drawing, that Zu Druids are lightweight. Not so. The first thing about the speaker I learned up close and personal is that the speakers are in fact quite large and heavy. As in really heavy… I was at a loss at how to get the pair up to my attic listening area. I ended up having to recruit a really big college guy to help me get the speakers up all those steps, and I’m still not sure how I’m going to get them down again. Thinking back on it, perhaps the fellow in the drawing was really André the Giant. It’s no secret that Zu Audio is no “me too” audio company. In fact, they seem quite proud of marching to the beat of a different drummer; in this case, their own. All of this was quite apparent to me as soon as I got my first good look at the Druids in person. Wrapped in plastic, the speakers themselves were coated with a thin layer of some sort of protective goop, which looked almost like automotive wax. Fortunately, a thorough rub down with cotton batting yielded a fantastically lovely glossy red finish. I’ve seen similar such finishes on super expensive Wilson Audio speakers, and this was in the same league. The Zu Druids are also chock-full of interesting technology, utilized because it supposedly improves the performance of the speakers, and not just because it’s cool. 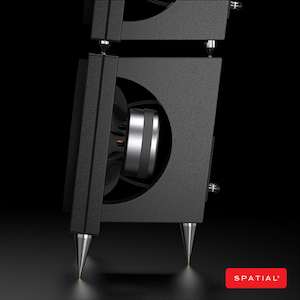 Most intriguing to me are the novel cabinet design that employs bass loading modeled on a high performance motorcycle exhaust design, as well as a 10.3” full-range driver that incorporates nanoparticle technology integrated into a paper cone. Now how’s that for a blend of old and new? It seems to me that Sean Casey and the rest of the Zu crew really like to be out on the cutting edge technologically, and that’s a good thing in my book. Wired up with Zu’s own internal cabling, the drivers employ no crossover; this characteristic supposedly helps to achieve the super high-efficiency of the speakers. 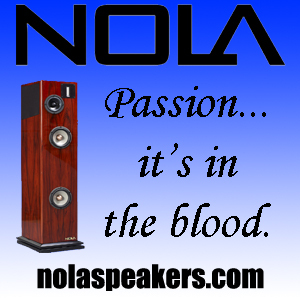 I’ve experienced several other crossover-less designs, and as a rule these speakers tend to sound exceedingly alive. The Druids are no exception, as we shall see shortly. I opted for a fairly typical setup in my attic listening room, with the Druids spaced about eight feet apart, and a similar distance from my listening chair. Plan on playing around a bit with toe-in, as it does affect the soundstaging characteristics of the speakers. I opted for something a bit off-axis that gave a nice balance between focused imaging and soundstage width. Yes, the speakers are heavy, but do take some time to experiment with placement to achieve the best results for your individual taste. As far as associated equipment is concerned, I’ve been on a “simpler is better” kick as of late. To wit: I prefer to use the passive attenuator on my Antelope Audio DAC running signal directly into a power amplifier, thus bypassing an active line stage altogether. 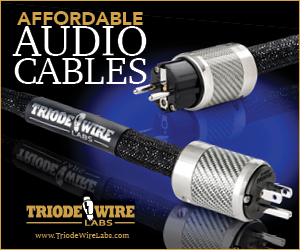 The less circuitry and cabling there is, the lower the chance of screwing up the audio signal. Well, that’s what I’ve thought of late, but that philosophy could change at any time in my own flukey, cranky world of audiophilia nervosa. That’s also why I’ve been very much interested in simple, elegant low-powered amplification solutions such as Nelson Pass’ First Watt amps. 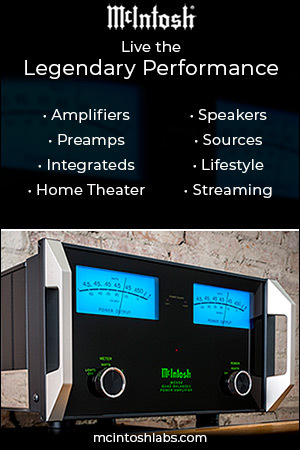 Of course, if you want to play your music at all loud with such amplifiers, you’ll probably want efficient speakers. That’s why the Zu Druids are here in the first place. And do I have First Watt amplifiers to play with: I borrowed a 25 watt per channel stereo J2 and a pair of 10 watt per side SIT-1 monoblocks from Scot, while Mr. Pass himself sent me his latest 20 watt F7 stereo amp. Not wishing to let the cat(s) out of the bag regarding my First Watt review (which you can find here), I’ll suffice to say that I’ve spent a lot of time listening to the Zu Druids with each of these amps. For my evaluation of the Druids themselves, I decided to use the First Watt SIT-1 monoblocks for most of my critical listening, as I found these amps to be the best fit for my overall personal preferences. 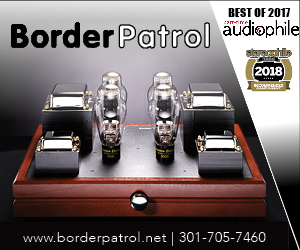 Certainly, I found all of the First Watt amps to have a “family sound,” but with slight variations in warmth, punch, and resolution. As I’ve suggested earlier, the Zu speakers are energetic and dynamic, with something of an immediacy about them. As such, I found them to work best with softer, warmer sounding amplifiers. What makes the SIT-1 fit the bill so well is that is has a bias adjustment of sorts on its front panel that allows the user to “dial in” more palpable warmth in one direction and hardened-up dynamic grit in the other. Driving the Zu Druids, I found that I much preferred the bias setting a bit “left of center,” meaning toward the warmer, more laid-back side. One thing is for sure: these Druids, with claimed efficiency of greater than 100 dB, don’t need much power to open up and sing. Even at 10 watts per side, the SIT-1 amps had more than enough reserves to get the Zu speakers going, and good. 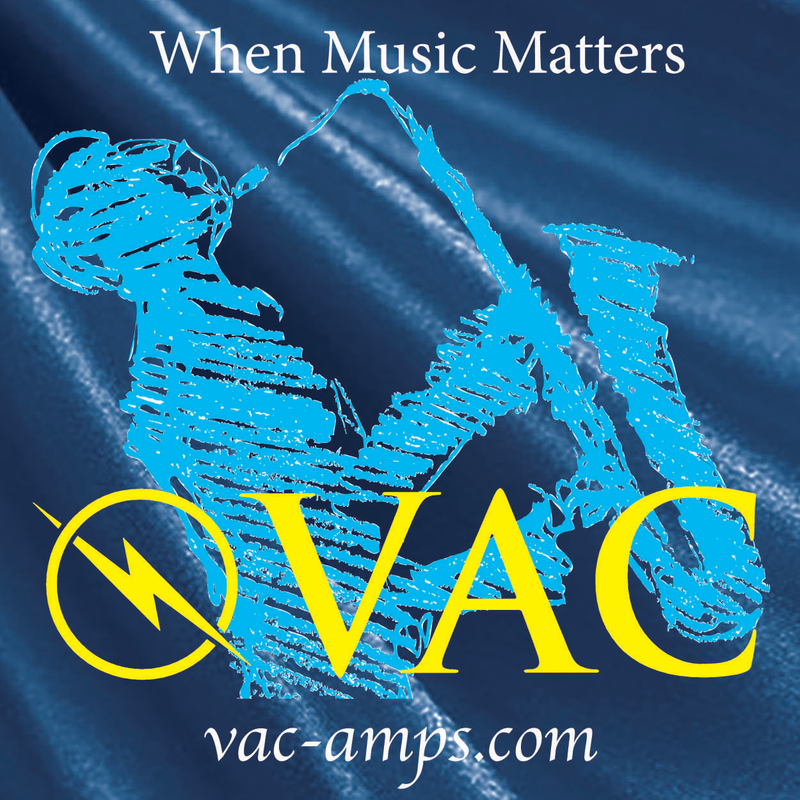 With the amps fed from the high gain outputs of my DAC, if the volume attenuator got much above the 11 o’clock position, I was about driven out of the room. Regardless of what amps I used with them, the Zu Druids are most definitely energetic speakers, reminding me somewhat of a well-tuned race car. I’m used to my more “normal” speakers, from manufacturers such as ATC, Fritz Speakers, and Spendor, so it actually took me some time to get used to the Druids’ somewhat different, more forward presentation. When I say forward, I don’t mean this in a negative way. What I mean is that the speakers quite literally crackle with energy, much like a purebred racehorse locked in the starting gate. Notes spring forth from the drivers in a manner that seemingly requires no work or effort whatsoever, and you hear dynamic transients and decays that seemed impossible before. I suppose the Ferrari red finish is appropriate here, as these puppies go from zero to 60 pretty much like that car. Matching the Druids with an overly lean amplifier may accentuate their strengths in such a way that the listener could be overpowered, thus detracting from the overall listening experience. That’s why I think it takes a warmer, more mellow amp to really make these speakers sing. Be prepared to experiment with amplification, but when you hit the sweet spot for your tastes, you’ll know, and you’ll be in for a sonic treat. Extended listening also demonstrated to me that the Zu speakers don’t editorialize. They’re about as pure tonally as they can be, refusing to add colorations, either desirable or not. 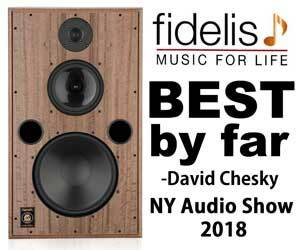 At first, the midrange seemed a tad lean to me, but then again, I tend to gravitate toward speakers that provide that bit of silky, fleshy midrange bloom and body. Of course, using a warmer, more euphonic amp will remedy that bit of leanness if the listener desires. At the bottom end of the frequency spectrum, I found bass to be tight and well-defined. The speakers don’t plumb the absolute depths of the audible spectrum, but that’s OK. Want that? Get a subwoofer. Zu Audio will happily accommodate your needs in this department, I’m sure. As for myself, I’ve found that getting those last few hertz in the bass isn’t really worth the trouble for the vast majority of the music I like to hear. I’m more about quality of what is there, as opposed to obsessing over what isn’t. And in this department, the Druids most certainly deliver, providing some of the fastest, yet most nuanced and musical bass I’ve heard. Moving to the top end of the spectrum, I initially thought the Druids to be a bit too emphatic in the treble for me. The highs are really extended and airy, almost sparkling with energy. After getting used to the Zu treble, I briefly placed both my Spendor BC1 and Fritz Carbon 7 SE speakers in the system; in comparison, their treble responses seemed rolled off and almost flat. 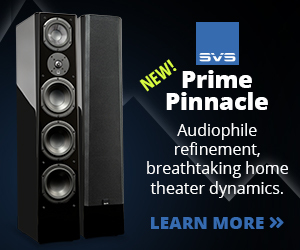 I know the highs are there in each of those speakers, but just not as crystalline as in the Druids. Again, careful amplifier choice will determine if the Zu treble is just right or more of a force to be reckoned with; I found the SIT-1 monoblocks nail it into the “just right” territory. Given the sheer size of the Druids, it should be no surprise that they do realistic scale really well, both in terms of image size and dynamic. They look big, and they sound big. This is an attribute that many of us who generally listen to smaller monitor speakers tend to overlook, but when done well, opens up a whole new level of enjoyment in listening. For any sort of large-scale recording, be it grand opera, symphony orchestra, or arena rock, this sense of scale helps suspend disbelief and place the listener closer to the actual event. Of course, there are trade-offs. The Druids don’t “disappear” into the soundstage like my smaller stand-mounted speakers do. They cast a deep and wide soundstage with reasonably precise imaging, but you won’t forget that they are there. But then again, if arena rock is your thing, the disappearing act (or lack thereof) probably won’t be big problem. Enough with the generalizations, you say. How do the Druids really sound? I’ll start by saying that I was initially somewhat underwhelmed. The damn things sound different, and that takes some getting used to. The initial impressions of a somewhat threadbare midrange and tipped up treble (compared to my usual speakers), coupled with the sheer energy of the speakers, just sounded weird. However, “to the patient go great rewards”, and I’ve ended up anything but disappointed. I’ve tried plenty of amps, played with toe-in and positioning, and above all, just practiced perseverance. Fortunately, I prefer to listen at lower volume levels, and I found that the Zu speakers were easy to get to know in that capacity. Only later did I start becoming more comfortable with turning the volume up and letting these babies crank. Now that we’re on agreeable terms, these Druids and myself, I’ll tell you what I really think. Let’s start with voice, since almost all audiophiles love female vocals. I was on the road a couple of weeks ago and stopped off at a favorite thrift to stretch my legs and rummage for some music. I picked up Natalie Merchant’s album Tigerlily (cd, Elektra), figuring I needed to increase my dose of contemporary female vocalists. I like the album, though my wife chided me for not recognizing any of the tunes from regular radio play. 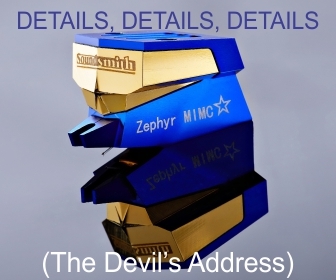 What the Zu speakers really do for me is emphasize the purity of Ms. Merchant’s voice. I felt like I was catching every tonal inflection, every tiny shift in dynamic; in short, those things that make reproduced vocal music interesting. Again, the Druids don’t seem to add or subtract anything at all from a tonal perspective. I feel like I’m hearing a pretty accurate representation of the mic feed on that day back in 1995 when the recording was made. I’ve listened to this album using some of my other speakers, and these indeed add a certain layer of silky sweetness and body to the voice which sounds really lovely and satisfying. If you lust for the real thing though, you’ll probably find the Druids the more rewarding listen. I felt pretty much the same way about the Druids when listening to that old audiophile chestnut, Duets, by string bassist Rob Wasserman and guests (LP, MCA, digitally archived). Focusing in on Jennifer Warnes singing “Ballad of the Runaway Horse,” I’m struck by the sheer naturalness of her voice, which seemed almost unclothed in its purity. Have I heard it reproduced in a “prettier” fashion? Maybe so, but maybe not in a more realistic light. Many listening enthusiasts I know (myself included at times) would openly admit to preferring the more euphonic version, and that’s just fine. We’re in this game for personal enjoyment, right? If, however, you yearn for absolute realism and the sense of “being there,” you’d do well to listen to these Zu Druids. While Duets isn’t exactly my favorite album to listen to, I do use it frequently to evaluate gear due to the realistic and revealing nature of the recording. That said, I must admit that I’ve really enjoyed actually listening to it through the Druids. Much of the enjoyment comes from the exquisite reproduction of Wasserman’s bass, which shines through with a quite satisfying sense of tonal truth and believability. There’s a really nice feeling of harmonic texture and “rightness” to the string bass, whether bowed or plucked, as in “Ballad of the Runaway Horse.” Here, the pizzicato bass serves almost as a percussion instrument, pushing the tempo of the song along while Warnes’ voice floats above it. Slower, warmer speakers might lead us to believe that things are dragging a bit, but not the Druids. Front-end attack is right on the money, adding that needed sense of rhythmic propulsion, while decay seems to linger on forever, merging right into the next note. Taking things up-tempo a bit, I gave a listen to Shelly Manne’s album “2-3-4” (LP, Impulse!, digitally archived). This is a favorite jazz recording of mine, due to the vividness of the instruments, from the drum kit to the vibraphone. Such a presentation should play to the Zu’s strengths, and I most certainly wasn’t disappointed. The Druids’ energy gave this recording a lively, up-front rendering which I found electrifying. Most fun to hear was Manne’s drumming, which had “you are there” emotional impact: I could easily hear the act of stick hitting hide, and all of the overtones that go with it. Cymbals were equally enjoyable, exhibiting a crystalline, but never irritating ring with gobs of natural decay. Altogether, there was a tremendous sense of energy filling the relatively small recording venue that I hadn’t quite noticed before, as I could easily hear sounds reflected off surrounding walls and swirling about before finally decaying to nothingness. Such things speak to the Druids’ quickness and ability to retrieve and resolve small details in the recording. Great as the First Watt amps are, I was eager to try out the Druids with some other amplifiers I had on hand. Next up was my reference pair of Merrill Audio Thor Class D monoblocks, which put out 200 watts per side into 8 ohms. 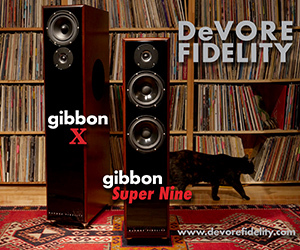 While such a pairing might seem like obvious overkill, I have found in the past that efficient speakers sometimes really seem to mate well with powerful amplifiers. I suppose there’s nothing wrong with having some extra power in reserve, as I wouldn’t pass up a Ferrari even if I was relegated to driving it on 55 mph highways. Overall, the Merrill amps gave something of a “velvet fisted” presentation when driving the Zu speakers, meaning that I could sense the power under the hood, but at the same time, the speakers sounded velvety and smooth; almost soft at times. If I felt the First Watts had a tendency to sometimes be slightly over energetic and tipped-up, in comparison the Thors were as sweet and laid back as can be. Not boring, mind you, but just not as in-your-face as the Nelson Pass designs. Put another way, the First Watt amps, most notably the F7 and J2, added something of an inner fire, or incandescence, to the sound that translated into some pretty exciting listening. Listening to the Thors made me want to chill with a martini, which is certainly not a bad thing in and of itself. Which presentation is better? Well, that’s not for me to say… that’s up to the listener to determine based on his or her own preferences. There were other differences as well. Focusing in on Rob Wasserman’s bass in the Duets album, I got a real sense of power and control from the Thor/Druid combination, but at the same time, the notes came off just a bit rounder in comparison with the First Watt SIT-1 amps, which provided perhaps a bit more sense of pitch and front-end attack. Further, I didn’t think the treble was quite as aggressive or extended when listening via the Thors. After having the Merrill amps driving the Druids for more than a few days, I’m even more impressed with the combination. One thing I have to say about these Thors: they drive about any speaker I’ve hooked them up to at least really well, if not superbly. Chalk up another lovely mating to the veritable Thors! I’m really appreciating the control and extension these amps have over the woofers, as well as the smooth, sweet midrange I’m hearing. No treble issues either. I can turn the music up and let ‘er rip with no fear of retribution whatsoever. If I preferred the First Watt SIT-1 at lower volumes, I’d have to say I tip my hat in favor of the Thors at high volume, or when the going gets tough. Now, for fun, let’s visit the other side of the power spectrum. 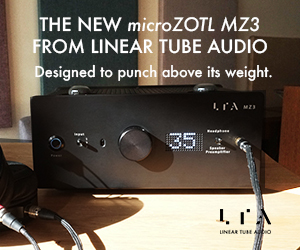 Just today, I’ve taken delivery of the interesting Linear Tube Audio microZOTL 2.0 amplifier (review to come). While the primary job of this one-watt-per-channel transformer-less little beast is to serve as a headphone amp, it also sports a pair of speaker outputs. Uh oh, I smell trouble, and I think you know where this may be going …. OK, I just had to. At 101 dB efficiency, the Zu Druids were just calling out to this li’l guy. Would these large speakers really get up and go with only a single watt? It was time to find out, and I must say I’m gobsmacked. Not only does the microZOTL drive the Druids, but it does so with authority, balls, and all the rest. I don’t really want to say much more at this point, especially since the microZOTL hasn’t been run in at all. I can say, however, that based on my initial (very positive) experiences, I’m hoping that the Druids will be able to hang out long enough here in the cave to take an active role in the upcoming review of the microZOTL. So, stay tuned! So then, what does the Zu Audio Druid Mk. V speaker offer up to the perspective buyer? First, I’ll review what it is not. If, as a buyer, you want something that adds lush romance to your music, then look elsewhere. If you need a speaker that simply disappears into the soundstage, buy some mini-monitors. 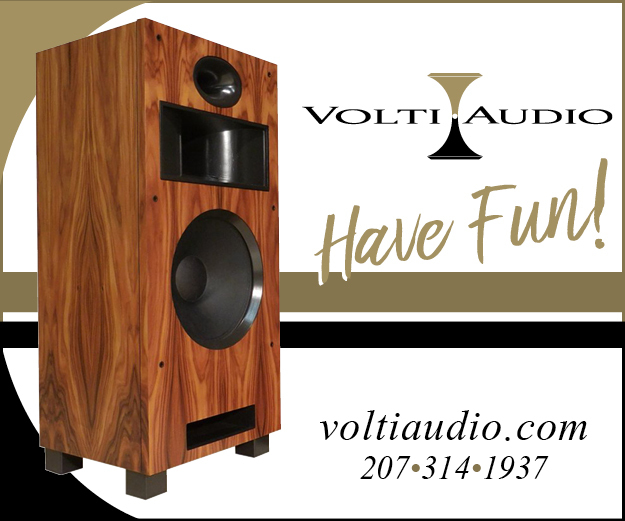 If you want a speaker that fades away into the recesses of your listening room like a wilting blossom, then this Zu is not for you. However, if you are looking for downright fun — and dare I say it, excitement — in a modern, cool-looking package that grabs the imagination, then step right up. If you are looking for jump-out-of-your-skin dynamics and the ability to accelerate like an F-16, then you’ve come to the right place. 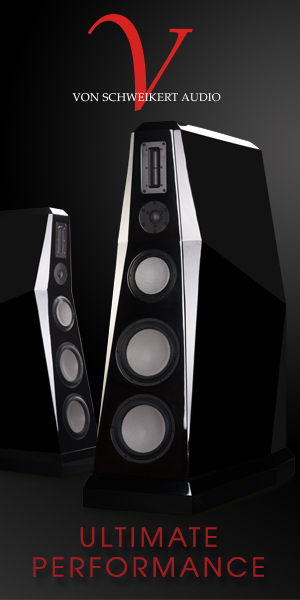 Yes, these Zu speakers are about excitement and enjoyment. 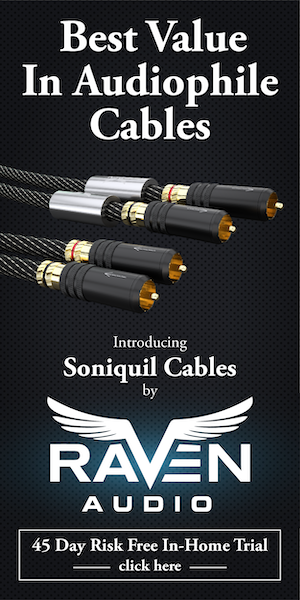 Will the Zu way appeal to every audio enthusiast? It took me some time to truly appreciate these speakers for what they do so well. In a sense, I had to check my own prejudices at the door of my cave and listen with an open heart and mind. And when I did, I found myself rewarded many times over. In the end, I’ll be fine going back to my normal way of life, listening to the speakers to which I’m most accustomed. But I can say that I’ll miss the big red monoliths, and if I ever get the chance to spend time with other Zu speakers in the future, I’ll jump at the opportunity. I have the Thor amps driving ATC SCM 19v2’s and they are very nice indeed. So do I. Highly agreed! Very nice write up – really got the sense of what you are trying to say. Well done. To my eyes, those speakers are really sweet! It just goes to show the Audiophile world that it doesn’t have to be Fall to put a little color (colour?) in your listening and your life. nice review. natalie merchant! she has redone that album just this past year,(paradise is there, the new tiger lily recordings) i have it on vinyl, its stunning and i prefer the contemporary version more, check it out if you get a chance.